Upgrade 4.0 for the SHIELD Tablet from NVIDIA is rolling out to owners, bringing Android 6.0 Marshmallow with it. In late December, Marshmallow was made available for the SHIELD Tablet K1, and for whatever reason, NVIDIA had to hold off on making the update available for the SHIELD Tablet. In terms of the features made available through Upgrade 4.0, it is a very important update, as it contains Adoptable Storage, UI upgrades, and power consumption improvements. More specifically, Upgrade 4.0 includes an updated SHIELD Camera app, featuring a UI inspired by Material Design and real-time HD Image Effects, as well as improvements for WiFi connectivity, and improved customization of the tablet’s UI. The highlight feature is Adoptable Storage. With it, users can integrate the microSD with the internal storage, giving you a ton of additional space to store apps and files. Once an update is live on NVIDIA’s servers, devices are quick to receive it, so you should already see a notification to install the update. If you don’t, you can manually check for the update from within the settings menu. For those with a microSD card already installed, please read the important note from NVIDIA below. In Android 6.0 there are changes to how expanded storage works. After this upgrade, there will be 2 ways to setup the MicroSD card, please read carefully – Portable Storage: This option will not delete data from the SD card, Internal Storage: This option wipes all data from the SD card. If you are currently storing data the SD card, please make sure it is first backed up. NVIDIA recommends to back up the MicroSD card prior to downloading this update. 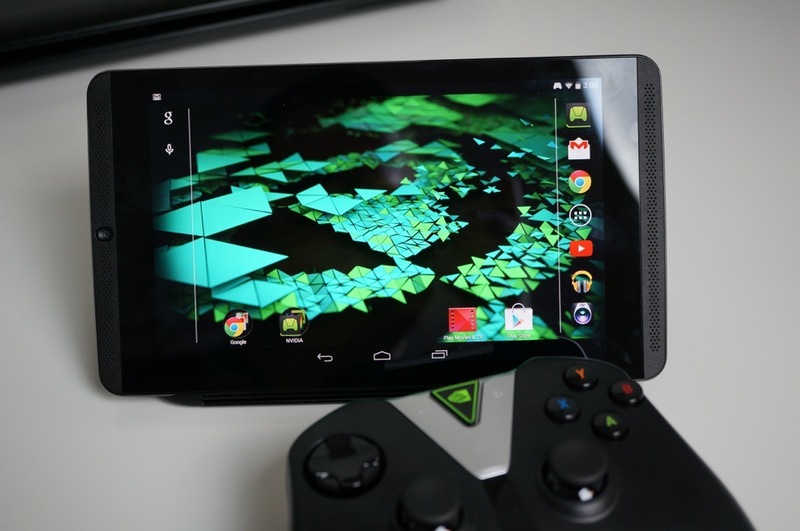 Update: Owners of the SHIELD Tablet K1, don’t worry, NVIDIA didn’t forget about you. NVIDIA is also shipping out an update for the K1, including the following fixes and improvements. This update is also live right now.